A new session has begun and we will start posting more blogs written by our level 4 students. Today’s topic is about the Shadow of the Earth! Sounds interesting! Do you know there is a place where you can see the shadow of the earth? I have lived for 23 years, but last year was my first time to see that. The place is the top of Mauna Kea on the Big Island of Hawaii. 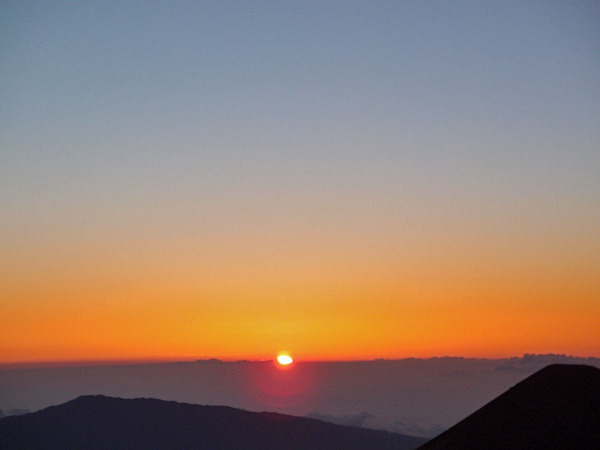 When my family came to the Big Island, I went to the top of Mauna Kea with them to see sunset. We were able to drive to the top of Mauna Kea. You don’t need walk. On Saddle Road, which is on the way to the top of Mauna Kea, we saw vast landscape because there is no forest, and we enjoyed the volcanic view with blaclc hard lava, grass, and so on. 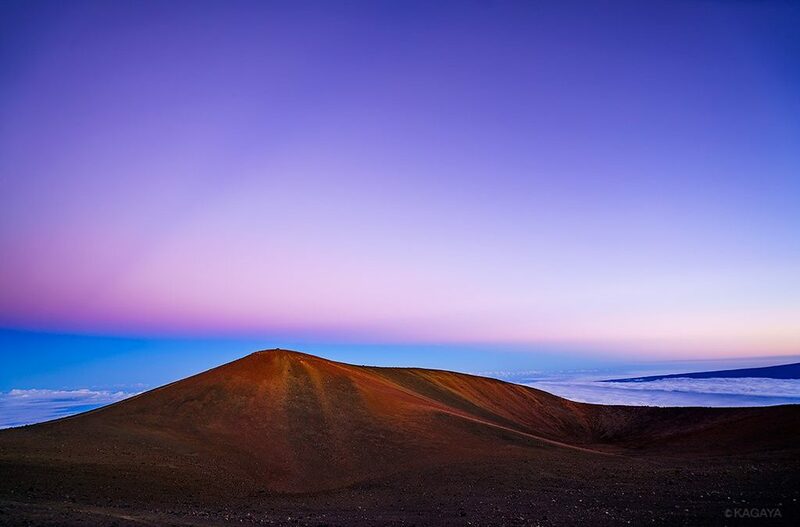 The top of Mauna Kea is above a sea of clouds, so nothing disturbs the scenery if you are lucky. The view of the sunset from Mauna Kea and above the sea of cloud was so beautiful and amazing. I was really surprised. However, while everyone was watching the sunset on the top of Mauna Kea, I looked back and saw the view on the opposite of the island. Then, I saw an even more beautiful view, which was a thin blue line on the horizon. Someone said that it was the shadow of the Earth. I got goosebumps as I admired it. After the sunset, I could see the sky filled with brilliant stars. We definitely could see Milky Way, too. If you come to the Big Island, you should definitely go to the top of Mauna Kea.